Price is for 8 of these unusual large gaspeite beads. 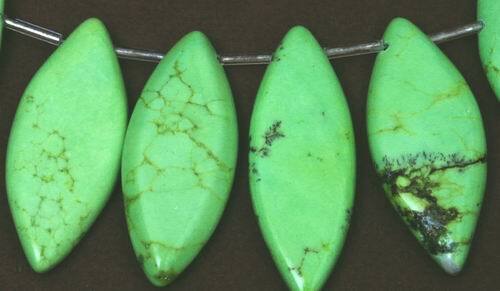 These are natural - green color is throughout - NOT dyed! Drilled ready to thread. Size of each bead is about a large 44mm x 18mm x 5mm.